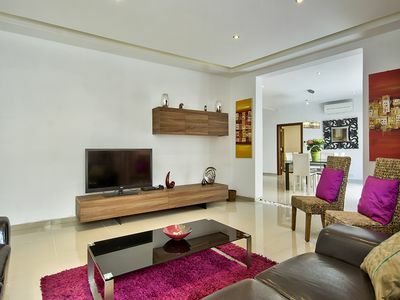 This luxury 4 bedroom naturally lit apartment is beautifully furnished and is very well equipped. 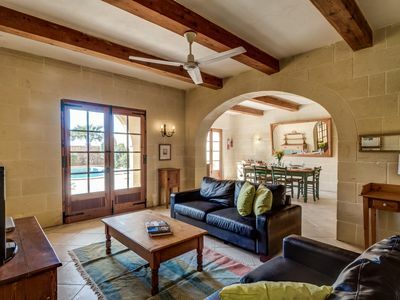 The modern spacious open plan living area makes for great holiday fun and relaxation. 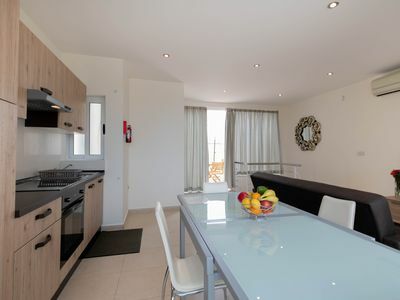 The kitchen is well equipped, and the living area is equipped with a 42' LED TV which has a USB port. 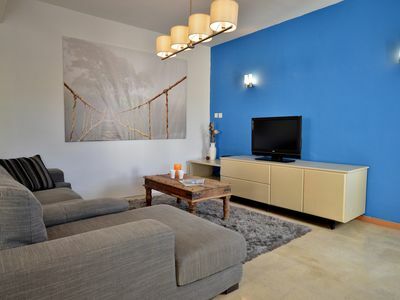 HD Cable TV connection with a large selection of channels is provided. 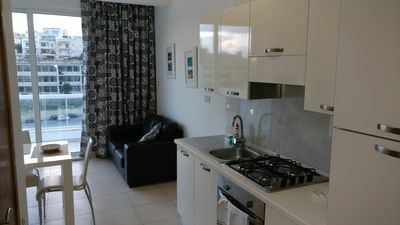 The apartment has two main bedrooms each with an en suite shower room. 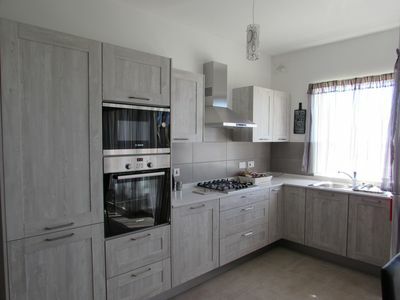 One of these showers has an interconnected utility room where you can find a washing machine and clothes dryer. 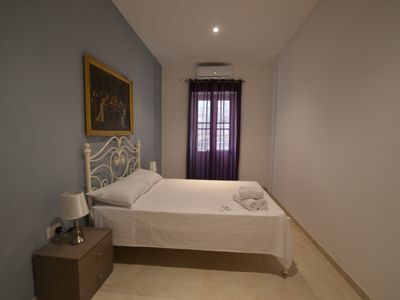 One of the remaining bedrooms also comes with an en suite shower. 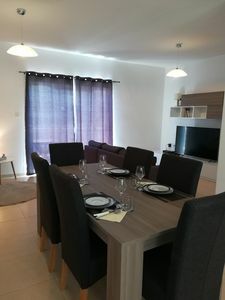 This is the largest bedroom in the apartment and if the group visiting is larger than 10 this room can easily take two extra beds. 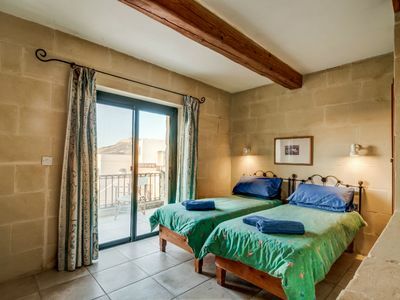 The last bedroom is actually two interconnected twin bedrooms. 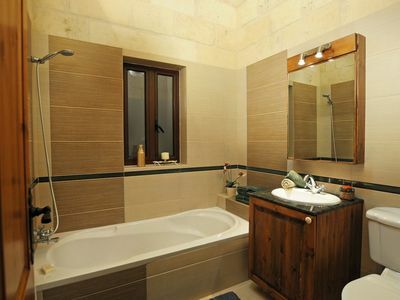 Complimenting the property is main bathroom with a 1.7m bath. 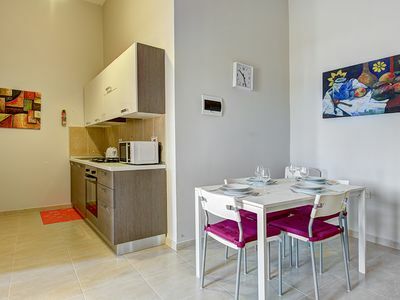 The apartment also features internet connection, air conditioning in every bedroom, two air conditioners in the open plan, two closed balconies with side sea views and three outdoor balconies with side sea views. 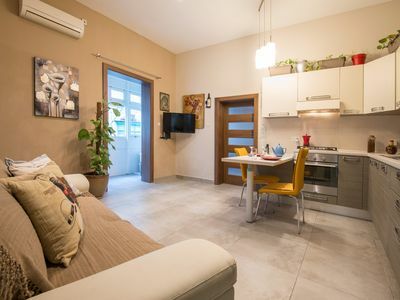 This fantastic apartment is only 20 metres or ten seconds away from Malta's most beautiful promenade and close to all amenities. 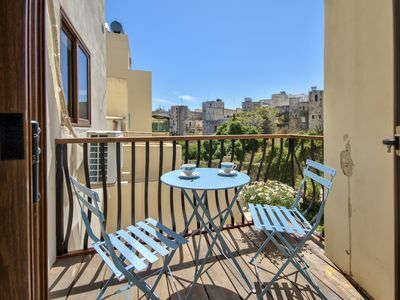 The apartment which is just 10 seconds off the Sliema front, which stretches to St Julian to the North, and to Valletta to the South is also close to bus Stops. 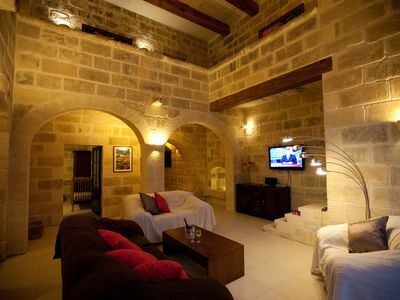 Public transport service is available to all areas either directly or via the main exchange in Valletta. 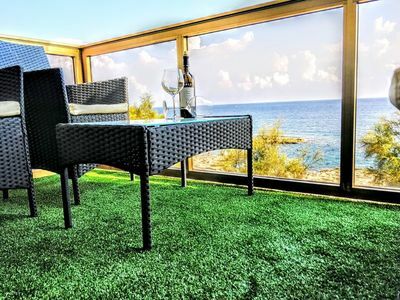 Sliema boasts a few of Maltas best parks and public gardens set by the pleasant rocky beaches enjoying picturesque views. 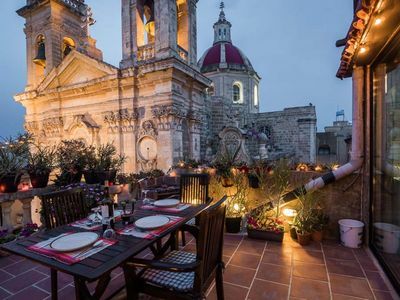 In Sliema one can enjoy a large vriety of restaurants, cafes and bars. 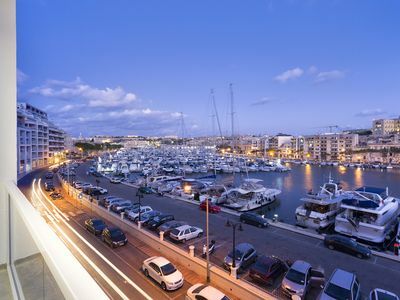 Sliema is also famour for shopping feautring Malta's largest shopping complex which is only a fifteen minute walk from this apartment. 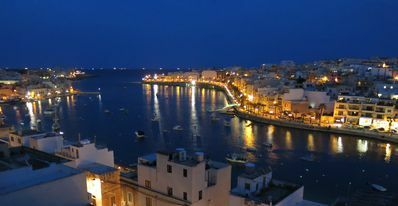 Sliema is also a harbour from where one can catch a ferry to cross over to Marsamxett or Valletta or even visit Comino or Gozo for a day or two. 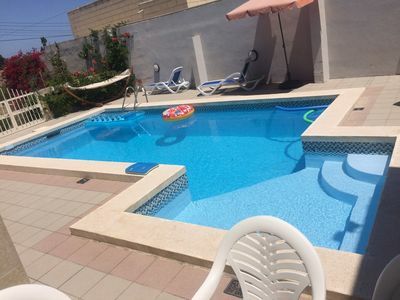 Having said all this Sliema has all it takes to be considered as the perfect location for your Malta holiday. 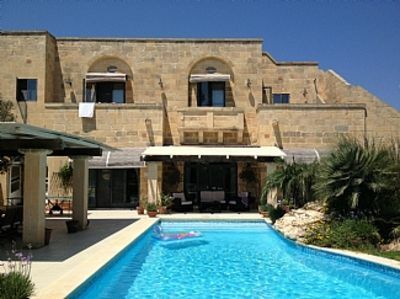 Luxury Family Villa With Stunning Large Garden and Pool.